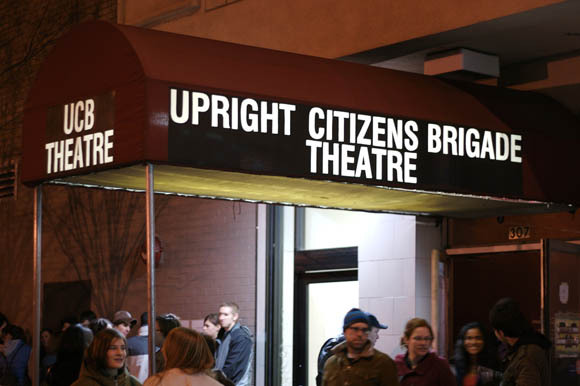 The Upright Citizens Brigade, an improv and sketch comedy group that may be best known for their TV show of the same name on Comedy Central, is about to be all up in Austin, much to the delight of local comedy fans and those who will be in town for South by Southwest. But no badges or wristbands are needed to get into these shows – all you have to do is buy your tickets online before they’re sold out, which is pretty likely to happen soon. This show is UCB’s long-form take on the Harold Armando form. It all starts with a suggestion from the audience – they’ll ask for just a single word, and from that, one ASSSSSCAT performer improvises a monologue. What follows is a series of interlocking scenes – all improvised, of course – and the result is a hilarious show that can never be recreated. Local nerdcore rapper Terp 2 It will open the show. This is a mix of “f’d-up and illegal improvised comedy, stand-up, characters, and videos,” according to their site. Joining Besser, Roberts, and Walsh are twisted minds from the UCB Theater in New York and Los Angeles. Our friends at ColdTowne will open the show. This one’s all about sharing: The guys from UCB will be playing clips from “some seriously fucked up videos in their personal collections, plus shows and extra UCB footage that have never been seen before.” Before every episode begins, the audience must say the Pledge of Allegiance to video footage of GG Allin taking a crap. I’m the biggest improv nerd in the world for mentioning this, but ASSSSSCAT is UCB’s take on the Armando, not the Harold. It’s been corrected. Thank you for catching that.